The spill resistant technology combines a modern design with great practicality. It's no spill suction base keeps the mug in place even when you push the side. 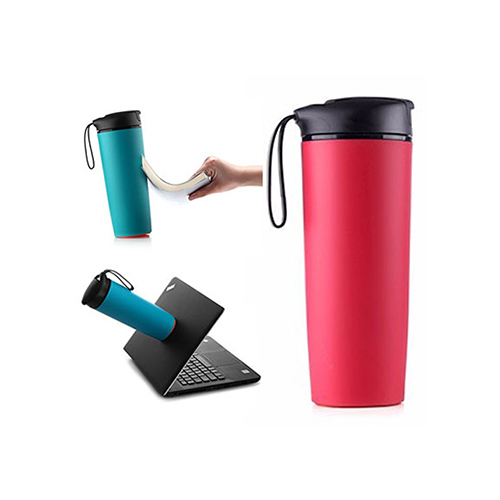 The double walled insulation keeps your beverage warmer for longer hours. The BPA free plastic exterior keeps away from toxic & is safe to use for a long period of time.